The apartment was light, airy and a good size. We had a large terrace as well which was great. The weather was quite cold and the heating worked really well. Clean, well equipped apartment. If a little tired. Comfy beds. Washing machine. Mini toiletries. Lovely roof top terrace. Very good location for bars and beach. Lock in a great price for Apartamentos HC Burriana Playa - rated 8.4 by recent guests. The villas have between 3 and 4 bedrooms, and are located 450 yards from the beach. Apartamentos HC Burriana Playa has been welcoming Booking.com guests since 29 May 2007. WiFi and parking are not available for this accommodation. Please note that Burriana Beach is 500 metres from this villa. House rules Apartamentos HC Burriana Playa takes special requests - add in the next step! Please inform Apartamentos HC Burriana Playa in advance of your expected arrival time. You can use the Special Requests box when booking, or contact the property directly with the contact details provided in your confirmation. 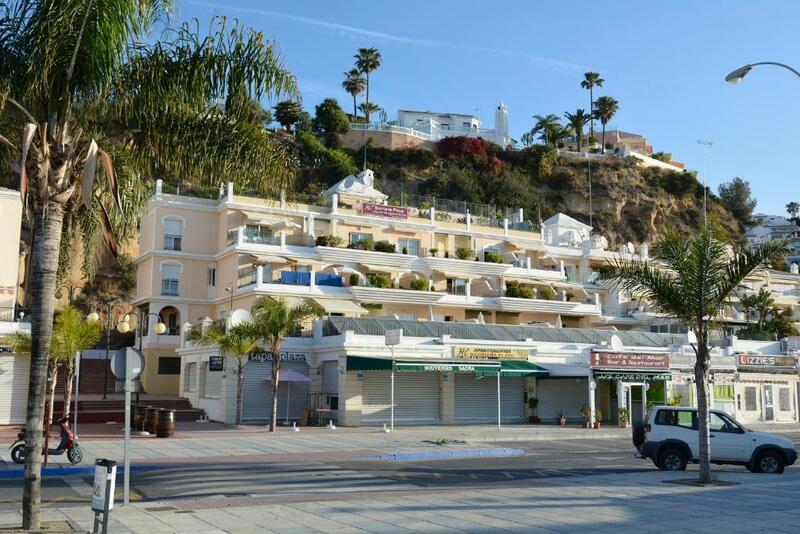 Please note that the check-in and key-collection take place at: Paseo de Burriana 6, 29780 Nerja. Cleaning is done only once in 3 days .